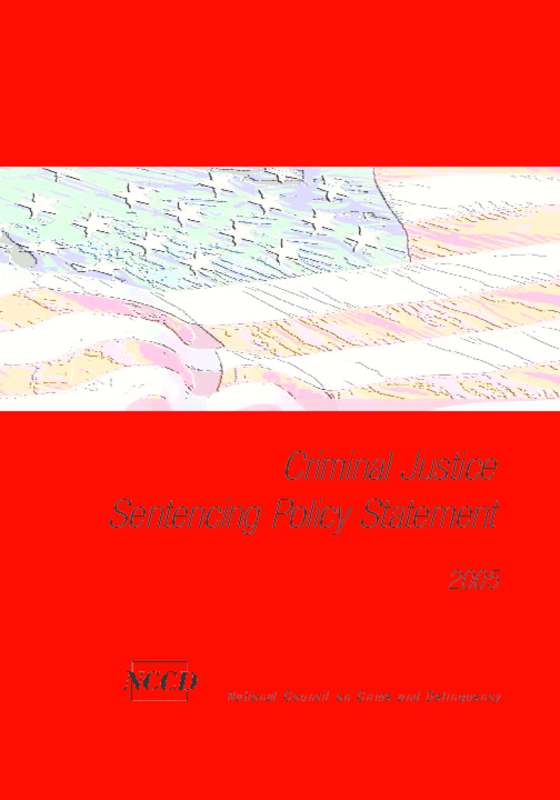 This policy statement, put forth by the NCCD Board of directors, is a revision of our 1992 "Statement on Criminal Sentencing." We reviewed the developments of the past 13 years and outlined NCCD's positions on issues such as mandatory minimums and the death penalty. Copyright 2005 National Council on Crime and Delinquency. All rights reserved.